God calls us to generosity — not for his sake: but for ours! Generosity says: I am rich, I am blessed, I have a hope and a future that isn’t just in my possessions, I have more than enough, and so I am free to give. Generosity changes us from thinking that we need to give God our money, to recognising that God lets us keep so much of His money! It changes us from a famine mentality to a feast mentality. It encourages to celebrate what we have, rather than focus on what we lack. Whatever out life circumstances we can always find a way to be generous. Generosity is also an investment. It is an investment in God’s Kingdom. It is an act of trust that acknowledges: everything we have is a gift, and that he has big plans for this world. As a community, we want to be investing more. We want to see God’s kingdom and vision for our church growing. That is why we encourage regular giving at Glen Osmond. We want to be serving God more and more. We want to invest generously in what God is doing. Giving empowers us to follow Gods vision for our community. We ask all regular members of our community to give regularly through electronic giving (BSB: 704922, Account Number: 100014362, Glen Osmond Baptist Church Inc Operating Account). But offering is also an act of worship. 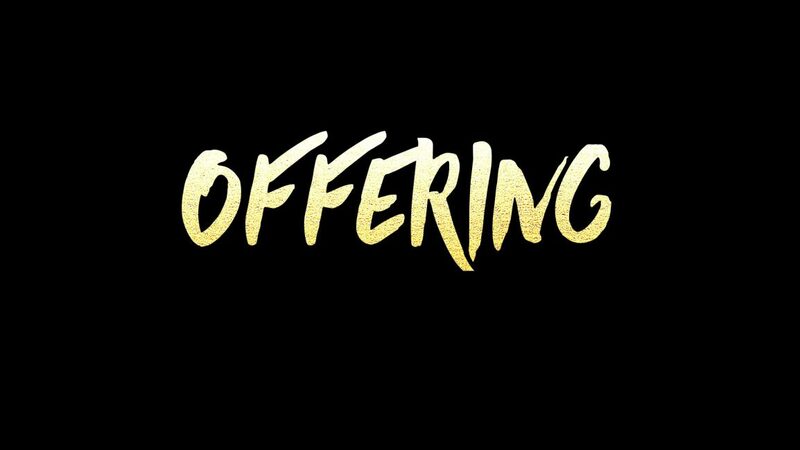 We take up a physical offering each week as a part of our worship of God. If you are giving electronically: thank you! But each week we would ask you to bring a small coin to place in the collection as a token of your electronic gift, as an act of worship, and as a way of role modelling generosity: particularly to our kids. When we give God promises to bless. He actually invites us to put him to the test.